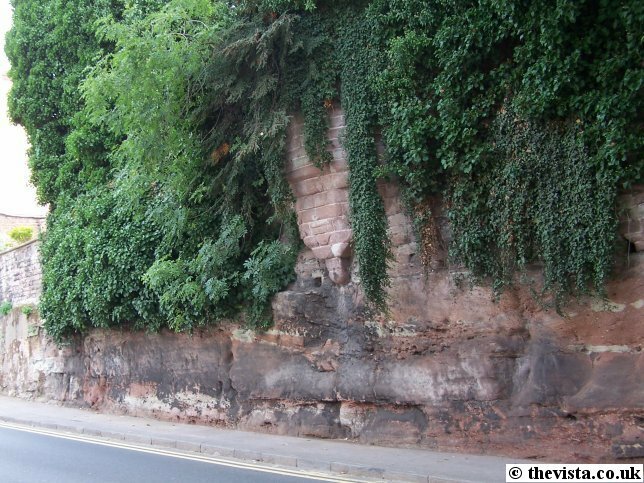 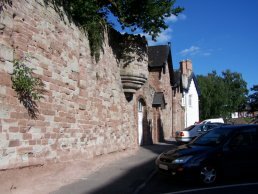 The Mock Gothic Town Walls were constructed during the building of Wilton Road in 1833, the road linking the top of Ross to Wilton down by the river. 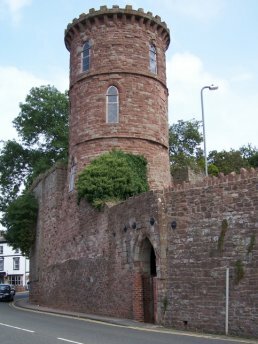 The Tower, known as 'The Gazebo Tower' was built as a viewing point along with the walls in 1833 when Wilton Road was built and it was originally known as 'Collins Tower'. 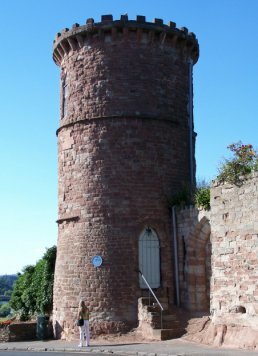 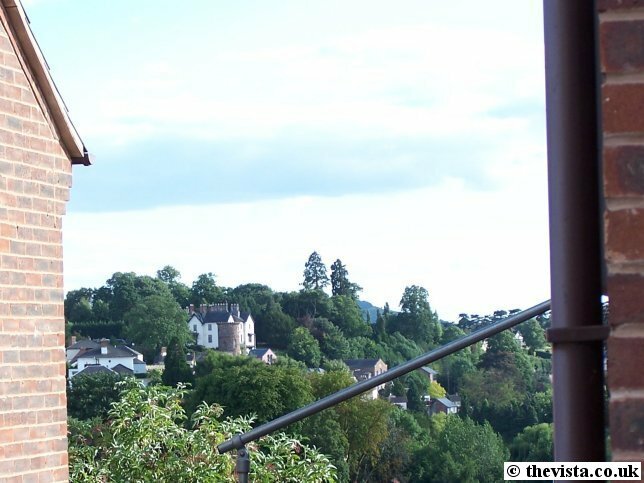 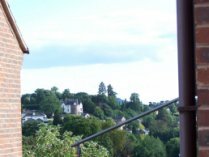 The Tower is one of the finest examples of a folly in Herefordshire and offers panoramic views across the famous horseshoe bend of the River Wye and the surrounding countryside. 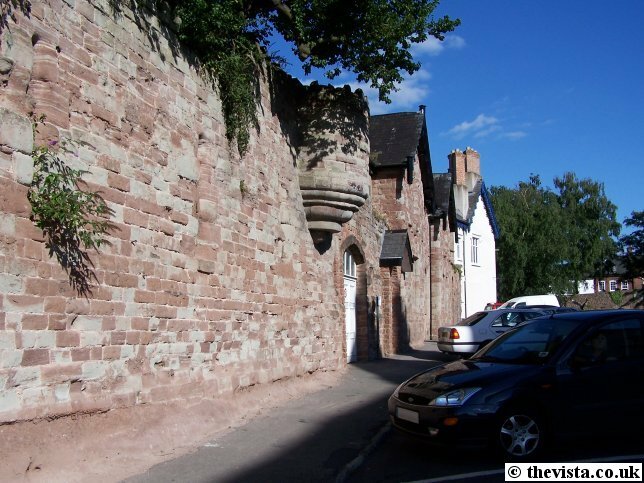 We are delighted to have been appointed by Herefordshire Council to offer this remarkable building for sale. 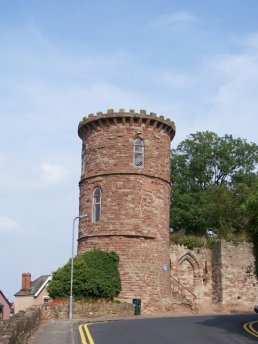 It offers an extremely rare opportunity to purchase a unique historic local landmark with some of the finest views in the area and a building that will be recognised by many world-wide. 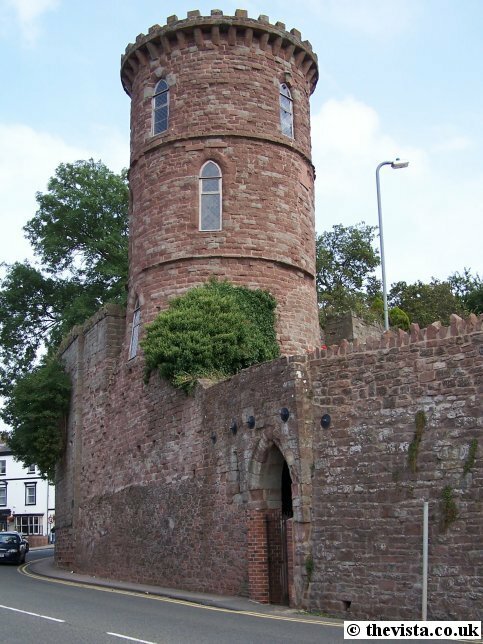 Herefordshire Council then agreed to sell the Gazebo Tower to a private buyer in the week starting 19th November 2001. The sale was criticised by Ross councillor Constance Edwards as no serious attempt at discovering the feelings of the people of the town or for allowing time for a rescue package to be assembled. 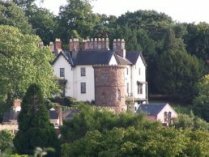 The new owner has then applied for "Listed Building" planning permission to "Change of use to residential, plus reconstruction of external access steps" on 31-01-2006 and a decision date was set for 27-03-2006. Under the tower, there is a doorway and a small room just large enough to get a person into. 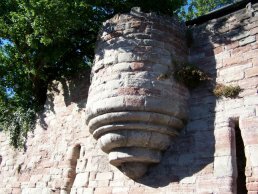 This was a gents urinal during the 1950's and it had a cast iron screen across the entrance with just enough room to sqeeze behind. 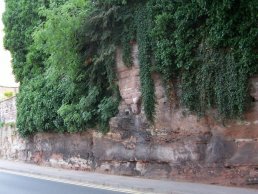 The screen has since been removed (or knocked off) and the room is unused.